It was tempting to call this review ‘Take Your Daughter to the Sliotar’, but it is doubtful whether many Iron Maiden fans access these pages. However, as GAA followers will well know sliotar is the name for a hurling ball and the band so ascribed is a trio consisting of Dubliner Ray MacCormac (whistles, pipes and vocals) now relocated to Clare, percussionist Des Gorevan from County Sligo, and the Finnish guitarist, bouzouki player and singer J.P. Kallio. The band is pretty well known on the European circuit as a result of a busy, almost hyperactive schedule which takes in more than two hundred gigs a year. Also, I believe that they used to play regularly at The Porterhouse in Dublin’s Parliament Street on the evidence of the title of their debut album, The Porterhouse Sessions, and the fact that the acknowledgements in the liner notes to Bí Liom Bí include thanks to the management and staff for their continuing support. Sliotar’s line-up provides an interesting variation on the standard group format and is reflected by the lightness of tracks such as the opening Dan O’Keeffe’s/Sweet Marie/The Yellow Wattle, with McCormac’s whistles to the fore. However, there is some additional instrumentation provided elsewhere by fiddler Dáire Bracken (formerly of Danú and nowadays of Slide) who appears on seven tracks, while Alan Doherty adds his flute to two. Sliotar can certainly spot a good tune and there are plenty of examples here, including the rarely played Australian Waters, associated with the Teelin fiddler Jimmy Lyons, and the excellent hornpipe Johnny Cope, while Ray McCormac’s own composition, the slow air Eileen’s Life, displays the breadth of his piping skills. Des Gorevan should also be complimented for his very understated use of a drum kit on the album – a refreshing change from the bodhrán. Unfortunately, however, despite their instrumental prowess, the band does not possess a strong singer. 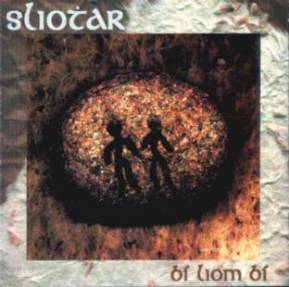 Both McCormac and Kallio vent their lungs, but neither is especially expressive nor seems to have a powerful enough voice, which is a great pity since Sliotar’s arrangements of the four songs on the album sung by the band’s members is particularly evocative. The fifth song, by the way, is the closing title track, sung by Ray’s daughter, aged five (and a very good job she makes of it!). In spite of the misgivings expressed above, Bí Liom Bí is a thoroughly enjoyable album and well worth tracking down. The Porterhouse’s house band returns with another enjoyable set of songs and tunes which, four years on, reveals notable developments in both sound quality and arrangement skills but continues to highlight Sliotar’s central failing, the lack of a decent singer. Indeed some might feel that guitarist J.P. Kallio, in particular, should receive suitable and sufficient punishment for not only supplying his own music to Lord Gregory, but singing the lyrics in a manner which owes more to Joe Strummer than Elizabeth Cronin. That said, Sliotar know that they’re never going to be world-beaters nor heading the line-up at the Green Energy festival, even though it’s only just up the road. Instead, they’re the ITM equivalent of that transient pre-punk musical phenomenon, pub rock, a musically skilled and extremely tight band which possesses a driving rhythm section and a thoroughly capable musical front-man in the form of Ray MacCormac – for an example of his abilities listen to his whistling on The Humours of Lissadell/Jackson’s 2nd. The album also features a live recording from The Porterhouse, Tommy Peoples/The Swinging Gate/The Old Copperplate (with Des going wild on the last of said tune trio) which offers a more than fair reflection of how Sliotar sound in situ, though a pint of one of the pub’s own superb porters would certainly enhance the listening experience. These are original reviews for The Irish Music Review by Geoff Wallis. 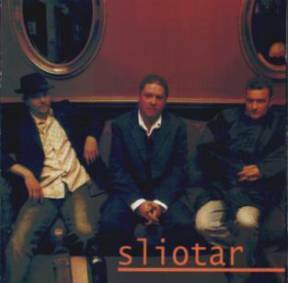 For more information about Sliotar visit www.sliotarmusic.com.